Not to be confused with Invasion of the Body Snatchers, The Body Snatcher was directed by Robert Wise and features Boris Karloff and Bela Lugosi in their final onscreen performance together. The film takes its cues from the stories of Burke and Hare, following a doctor and a cab driver who steal dead bodies for experiments. Scream Factory's new 4K transfer is fantastic, the DTS-HD MA Mono audio track is good, and there is one new bonus added to the vintage special features you may have seen on the DVD. Highly Recommended! Back in the mid-1940s, producer Val Lewton took over RKO Pictures and made a ton of movies for the production house, including many horror films. In that time, Lewton gave filmmaker Robert Wise a chance to direct his third feature, The Body Snatcher. Wise, of course, went on to make West Side Story, The Sound of Music, Star Trek The Motion Picture, and much more. 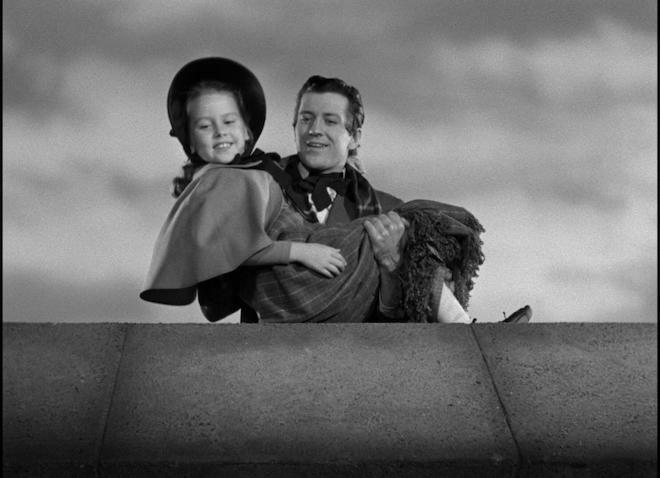 But it was with The Body Snatcher that we could tell Wise had a sense for character drama and telling a compelling story without all the bells and whistles he was fortunate to gain later in life. Based on Robert Louis Stevenson's short story, the movie takes place in the mid-1800s and follows a student named Fettes who is enticed by his mentor, Dr. MacFarlane to help him with his work and experiments. What is it that Dr. MacFarlane actually does? Well, if you remember the stories of Burke and Hare, you might be getting warmer. 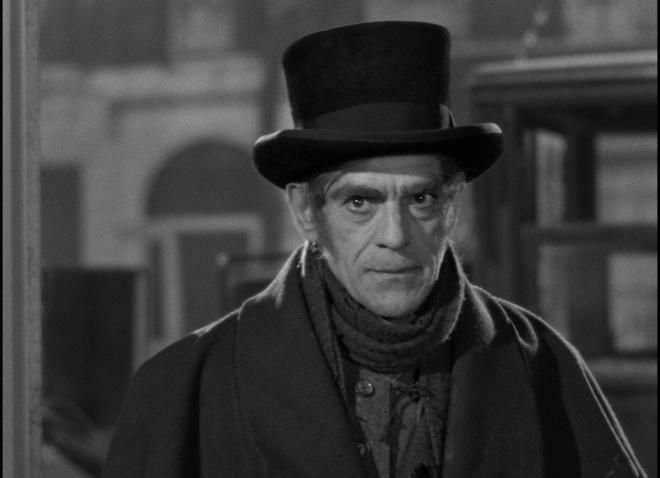 In fact, Burke and Hare are mentioned in the film and Dr, MacFarlane wants to carry on their legacy with the help of Fettes and a cab driver named Gray (Boris Karloff). Much of the film gives us a glimpse at the sadistic relationship that Gray and MacFarlane have. The "good" doctor has hired a poor cab driver to dig up graves for fresh bodies, but if there are none, the doctor doesn't mind if Gray murders people. When Fettes finds out about this, he more or less goes along with it, but has his doubts, as he questions everyone and even tries to sway MacFarlane into curing a crippled young girl. What Wise does so well here, is focus on the odd relationship between MacFarlane and Gray, which can be seen a few different ways. On one hand, there is animosity between the two fellas in that one makes a ton of money where the other leads a less compelling life financially where they hold it over each others heads. Another factor is that both men have deep dark secrets and each man blackmails the other. Wise showcases their emotions and actions perfectly with a slow burn that ends up in a classic climax that leaves you with a haunted feeling. Karloff is fantastic here as the cab driver Gray; it might be one of his best roles next to the iconic Frankenstein films. Then there is Bela Lugosi, who plays one of MacFarlane's right-hand men, making this movie the last picture both Lugosi and Karloff starred in together. To be fair, though, Lugosi's part is small, so if you blink, you'll miss him. The Body Snatcher takes the story of Burke and Hare a step further with the duo's home life and inner struggles, instead of just being about the blood and guts. This is one older horror film that hasn't lost its step. The Body Snatcher comes with a 50GB Blu-ray Disc from Scream Factory. The disc is housed in a hard, blue plastic case. There is no cardboard sleeve, but the cover art is reversible. There is no digital download or copy. 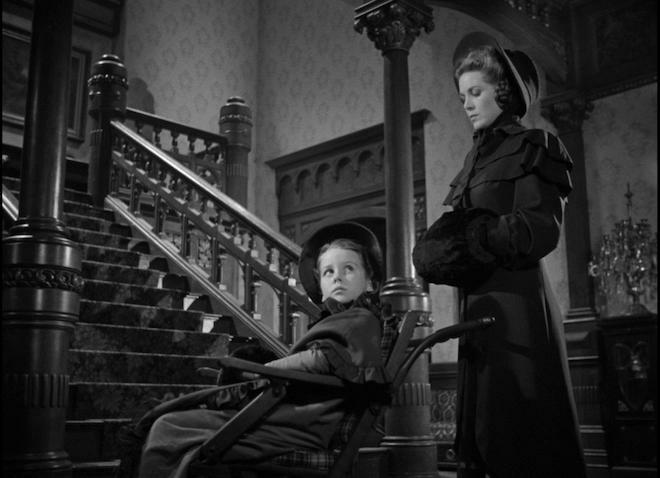 The Body Snatcher comes with a brand new 1080p HD transfer and is presented in a 1.33:1 aspect ratio. Released in 1945, this film was never particularly good looking. And its subsequent releases on DVD were underwhelming. But Scream Factory has done a wonderful new 4K scan of the original camera negative, which is quite impressive. It's night and day here in terms of clarity and detail. On previous releases, most of the image was shrouded in darkness, where you literally could barely make out anything in the background, on the walls, and even the character's faces. It was a nightmare, visually speaking, trying to watch this older film on newer technology. This Blu-ray's image is much brighter and bolder in every sequence. You can now easily see every bit of detail in the background -- the props, artwork, and even textures in costumes and facial features. It's like watching a new movie. The black, white, and gray levels are much brighter than before which distinguish each prop and feature from one another. This is a fantastic looking new video presentation from a film that desperately needed some help. The Body Snatcher comes with a new lossless DTS-HD MA Mono track that sounds excellent without really any pops, cracks, hiss, or shrills. There can still be some tin-can sounds here and there, but for the most part, each noise has some depth to it. The audio kicks in more towards the end of the film where the storm and horse carriage is riding along, complete with some solid sound effects. The score always adds that classic sense of horror too. The dialogue is clear and easy to follow along as well. For a Mono track of a film from the mid-40s, it does a great job. 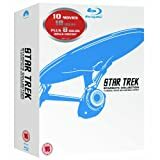 There are a few bonus features listed out below, most of which are imports from the previous DVD or laserdisc edition, including a commentary with Robert Wise and a feature-length documentary about the production of the film, along with some production and promo stills. Scream Factory has added one new bonus feature that focuses on the producer of the film Val Lewton who took over RKO Pictures. Audio Commentary - Director Robert Wise and Film Historian Steve Haberman deliver a fun commentary track and talk about making the film and Wise's career. This commentary track was made almost 15 years ago, right before Wise passed away. They walk about casting the film with the big names in horror of the time, the inspirations, and more. Worth a listen. Shadows in the Dark: The Val Lewton Legacy (SD, 54 Mins.) - This is a documentary that was imported from a previous release that discussed when producer Val Lewton took over at RKO and made a ton of horror films. Many famous directors, including Guillermo del Toro and William Friedkin, are here as well. Everyone talks about the film and the many other horror movies from RKO at the time. You'll Never Get Rid of Me: Resurrecting The Body Snatcher (HD, 12 Mins.) - This is a brand new bonus feature that features author and historian Gregory William Mank who talks about the film and its release. Sill Gallery (HD, 10 Mins.) - Image galleries for production photos, promo art, and more. 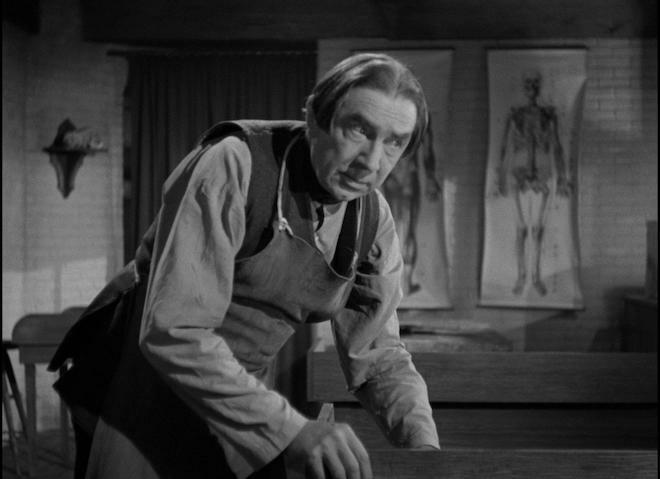 The Body Snatcher is one of those old horror films that still holds up today, featuring top-notch performances by Bela Lugosi and Boris Karloff here. As a Blu-ray, Scream Factory's new 4K-scan is out-of-this-world good and makes the film look new again. The lossless audio works well and the new and vintage bonus features are all worth your time if you're a fan of old horror cinema. Highly Recommended!